Two hundred years ago the network of roads and lanes connecting the various settlements and farms in and around Sutton Coldfield crossed through farmland and over the open commons. The routes through farmland were well-defined, bounded by hedges and fences, but on the commons they were only tracks, and travellers on those routes that were less used would have no definite track to follow. Modern Walsall Road was such a track which would have seen plenty of traffic, being the main road from Sutton to Aldridge and Brownhills, while the tracks which are now Signal Hayes Road and Boldmere Road were hardly used, not being through routes. In 1824 the Sutton Coldfield Enclosure Act was passed by Parliament, and a Commissioner was appointed to divide up the commons and give the land to the inhabitants according to their entitlement. But the terms of the Enclosure Act required that the Commissioner first survey what public rights of way existed on the commons, and then to replace them with properly constructed roads and footpaths. The Enclosure Award, giving the final decisions of the Commissioner, details thirty-seven new public roads totalling over twenty-five miles (40 kilometres) in length. Modern Reddicap Heath Road, for example, begins as public road no. 18 “One road of the width of thirty feet commencing at the east end of Reddicap Lane near the dwelling house of Thomas Baker and extending in an eastwardly direction over the middle of Reddicap Heath and terminating at the west end of the road leading therefrom to Bassetts Field”, the next short stretch of the road already existed, and then it was continued over the former common called Bassetts Field to the Anvil by a new road no. 13. 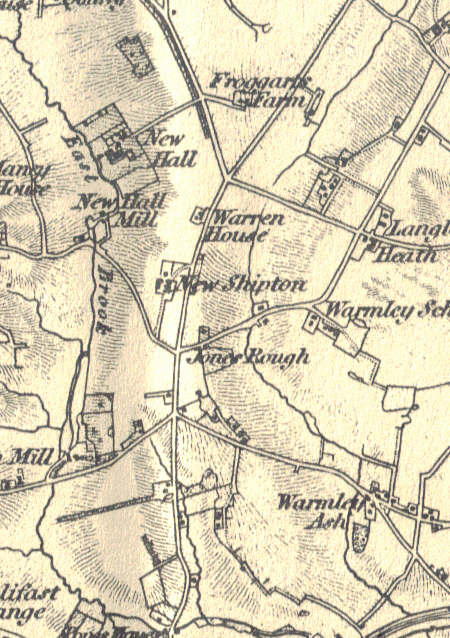 These new roads were set out on a large-scale map of Sutton made by local surveyors Henry Jacob and William Fowler. Often the course of the road was determined by drawing a straight line from the starting point to the end with a ruler. The Commissioner appointed a surveyor to make the roads, which, when completed, were inspected in June 1832 by two Warwickshire JPs who declared them to be “fully formed completed and repaired” and issued a certificate which was enrolled at the next Quarter Sessions. 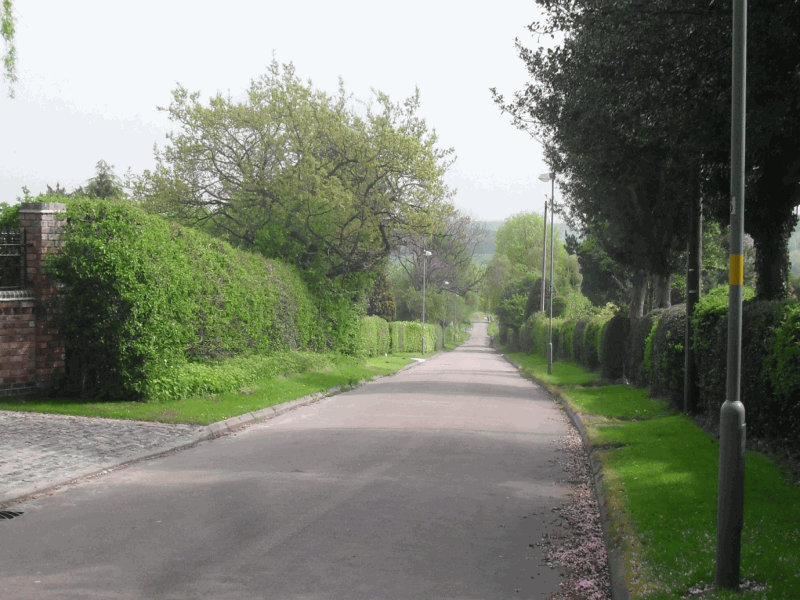 The enclosure roads still exist, some almost in their original form, straight roads lined with parallel hedges thirty or forty feet apart, as specified in the Enclosure Award. The creation of the roads was expensive, but the Act of Parliament authorised the Commissioner to cover the cost of the enclosure by offering some of the common land for sale by auction - 916 of the 3332 acres of land to be enclosed were sold in this way. The roadside hedges were not paid for by the Commissioner, however, but by the persons allotted the plots next to the roads - each plot was rectangular, and the Award specified which two sides of the plot were to be fenced by the new owner. 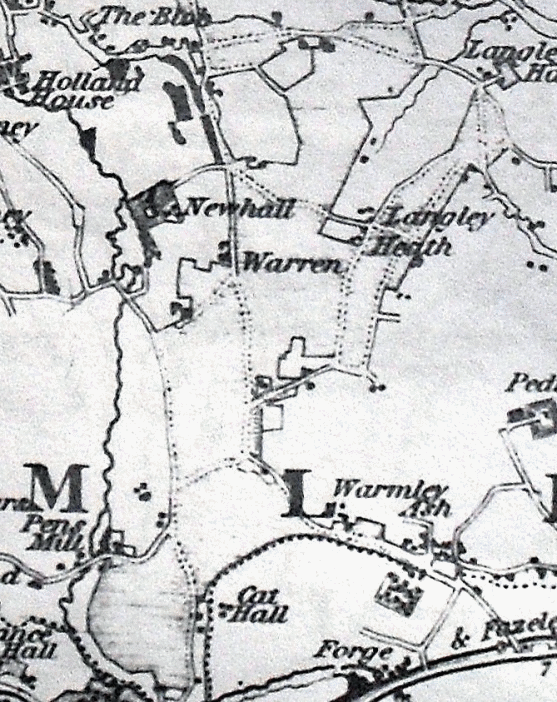 Detail of Greenwood’s 1822 map of Warwickshire. Where roads cross commons, they are shown as dotted lines, so the roads we know as Echelhurst Road, Walmley Ash Road, Fox Hollies Road, Walmley Road, Wylde Green Road and Penns Lane are shown branching off from tracks across the common. Hillwood Road, an enclosure road with hedges 30 feet apart.